This is a recent Boiler room that we installed. 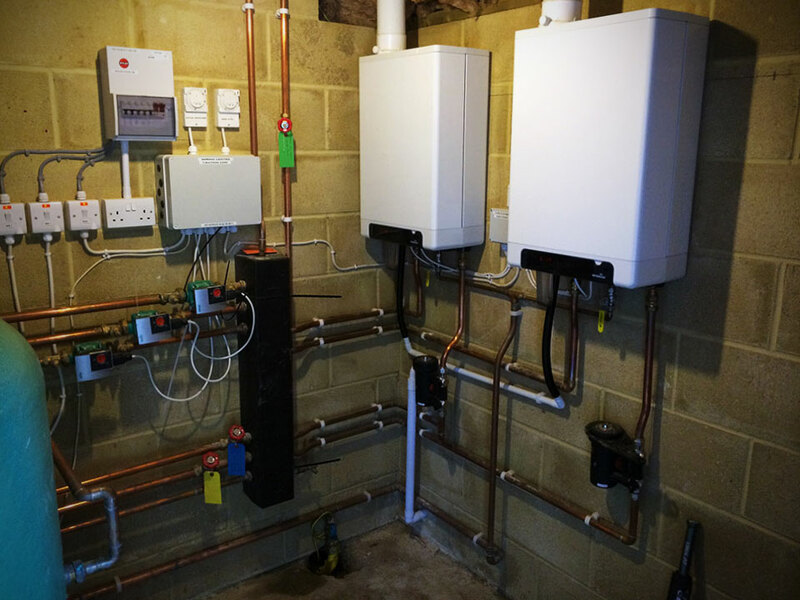 We then installed two new 24kw intergas boilers, linked together in a purpose built boiler room. New pipe work was re-routed to the main house which was split into zones, helping to reduce running costs. We also used a professional power flushing company to clean the existing heating system.